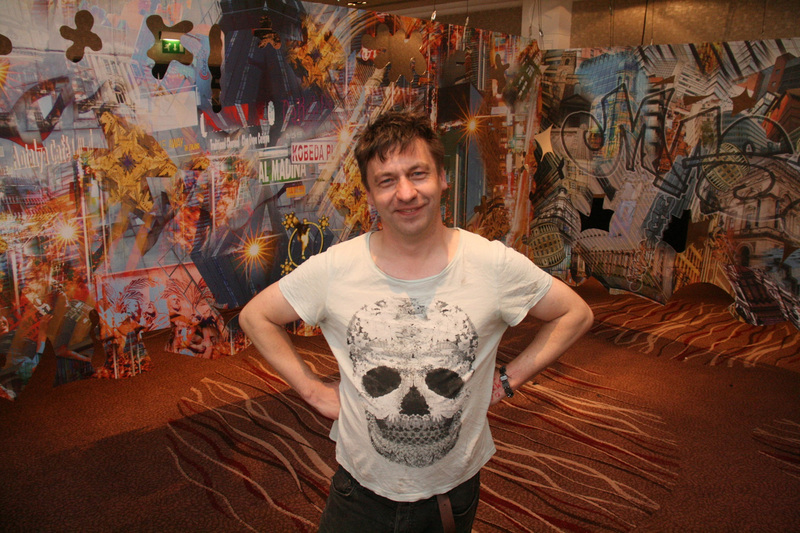 As part of the Evenings at the Renaissance programme, the upscale Hotel has been given a Graffiti inspired make-over courtesy of Manchester artist Richard Cowley. The temporary art installation named ‘Rebuilding Manchester’ is a graffiti inspired photo collage, it took two and a half years to complete and celebrates many of the old and new buildings around Manchester. 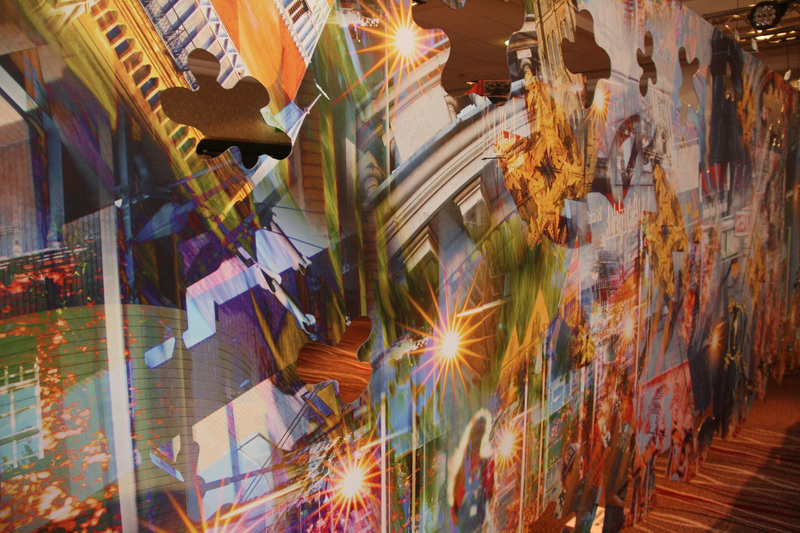 It features over 9000 images from Manchester in a 240 square meter 3D collage that you can walk around. Richard said; "what is the point of a city if you don't look up, and what it the point of buildings if you don't appreciate the details." The innovative new installation will even be entered as a possible world record. Richard added; "We have spoken to the Guinness Book of World Records and there is nothing in the world like this. After the exhibition we're planning to work with the team to set the perimeters and see if this can officially be crowned the world’s largest photo collage." General Manager of the Renaissance Manchester, Cameron Mcneillie, who brought the installation to the city centre, added; “Evenings at Renaissance is a calendar of free events that allow guests and visitors to participate in intriguing and relevant business unusual experiences celebrating Manchester’s food, drink, music, arts and culture. Richard's installation is a true celebration if Manchester and were proud to be able to host it over the weekend for everyone to enjoy." The Rebuilding Manchester installation will be located at the Manchester Renaissance Manchester City Centre, for three public viewing days from the 18th to the 20th March 2016.